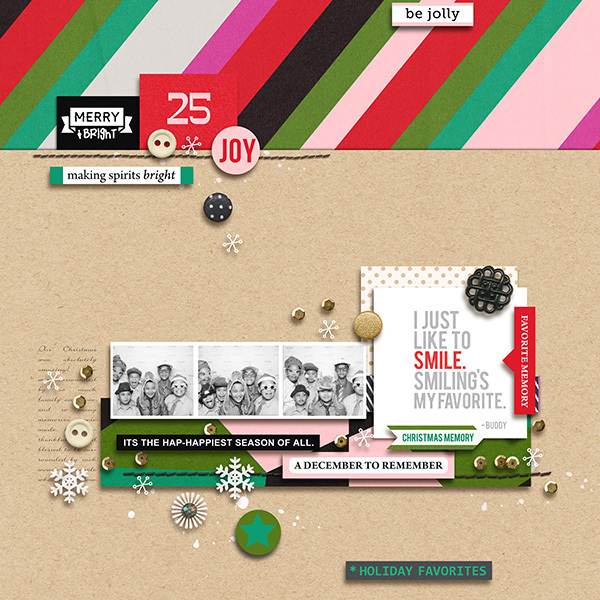 Tis' the Season for planning upcoming holiday projects (or finishing those of holidays past!) 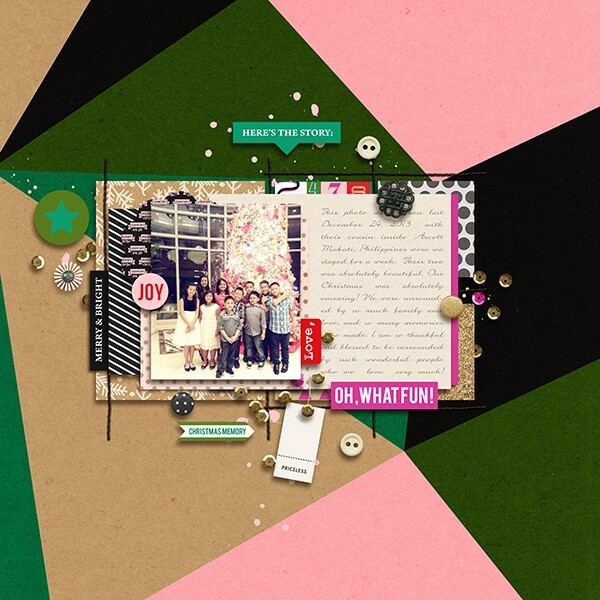 Are you content to make a few double page spreads to capture your favorite festive memories, or are you planning on photographing every last detail of the month? Either way the Making Spirits Bright: Kit has all the bits and pieces you need to document your December! Shades of evergreen, candy cane red, fuchsia (and a bit of bold black thrown in for good measure) adorn a variety of sequins, ribbons, christmas trees and flowers, making them great for scrapping retro and modern holidays. 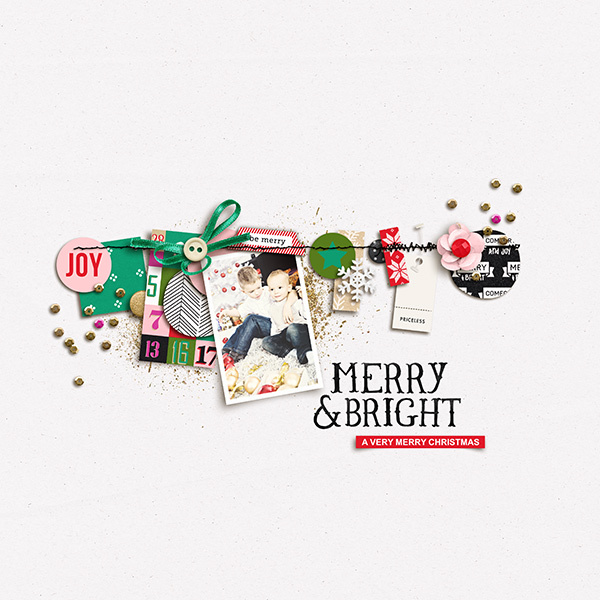 And with all the super cute labels and word art, your stories will be the highlight of any page! 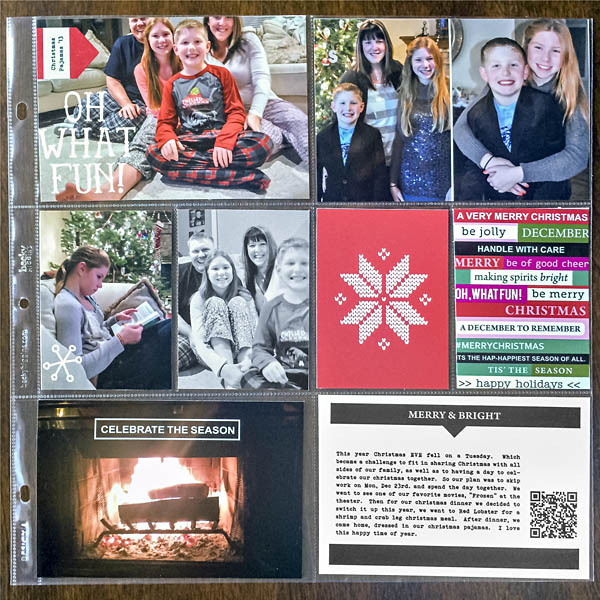 Layer them up on traditional layouts, print them up for use on your hybrid albums, or tuck them into your favorite templates to get your daily December memories documented with no fuss.